So it has been 7 Months since Nintendo announced the Vehicle pack for Nintendo Labo and now we have come to their latest kit and we were not expecting this. They decided to go all VR on us. In a Tweet they sent out on twitter under the Nintendo UK Account (@nintendouk) they announced the kit. On Nintendo's official website they say the kit will be in 2 variants the starter pack will include the headset and a blaster. You have to buy their expansion packs to be able to get more experience with them. the 2 expansions will be the camera and the elephant packs for the VR headset and the other gives you the wind pedal and a bird. Or if you buy the full pack it will come with the starter kit and ALL expansions included. This is Nintendo's second adventure into VR as their failed adventure a long time ago the Virtual Boy was their first "VR" Headset. the kit will be released to the public on the 12th April 2019. 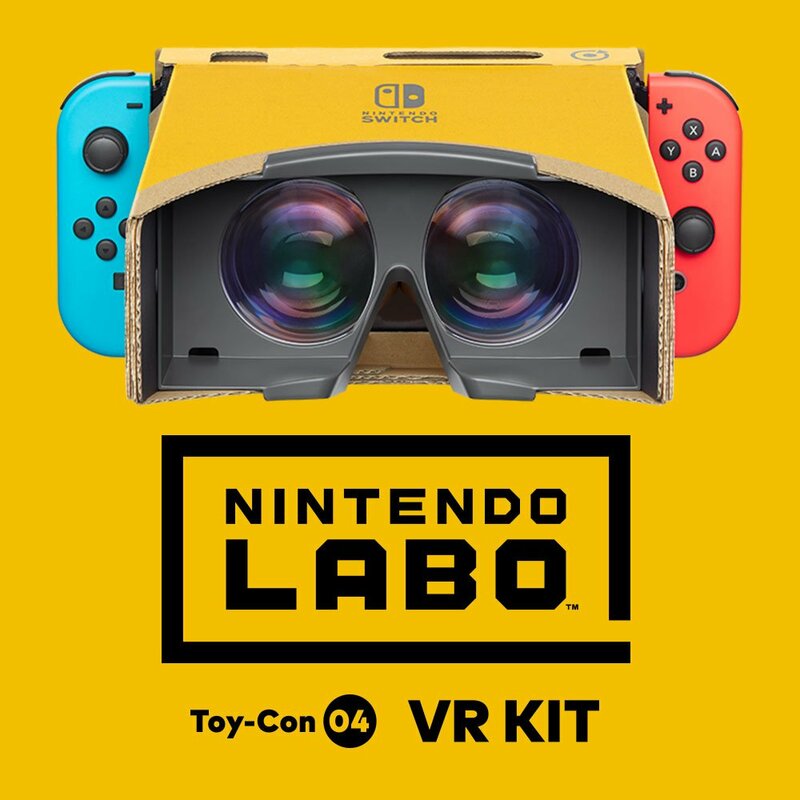 Also like other kits from Nintendo Labo A Nintendo Switch is required. 32x Cardboard sheets for each "Toycon"
will you get the kit? let us know in the comments below!